193 Marlborough is located on the north side of Marlborough, between Dartmouth and Exeter, with 191 Marlborough to the east and 195 Marlborough to the west. 193 Marlborough was designed by architect Samuel D. Kelley and built in 1882-1883 for building contractor Samuel Tarbell Ames, for speculative sale. Samuel Ames is shown as the owner on the original building permit application, dated December 4, 1882. 193 Marlborough was built on land owned by Samuel Ames’s son, Harvard law professor James Barr Ames. He purchased the land on November 21, 1882, from George Bruce Upton, Jr., who had acquired it from John Quincy Adams on February 7, 1881. He, in turn, had purchased it from Thomas Jefferson Coolidge on November 27, 1880. It was part of a larger parcel T. Jefferson Coolidge and James Lawrence had purchased from the Commonwealth of Massachusetts on May 31, 1872 (T. Jefferson Coolidge purchased James Lawrence’s interest on December 30, 1872). Click here for an index to the deeds for 193 Marlborough. On July 17, 1883, 193 Marlborough was purchased from James B. Ames by Ellen Constance (Sampson) Sampson, the wife of dry goods commission merchant Oscar Hallet Sampson. They previously had lived at 76 Marlborough. Oscar Sampson died in November of 1904. Ellen Sampson continued to live at 193 Marlborough with their two surviving children, Charles Edward Sampson and Gertrude Sampson. Charles Sampson moved to New York City in about 1906, and Ellen and Gertrude Sampson continued to live at 193 Marlborough until about 1915. By the 1915-1916 winter season, they had moved to 111 Commonwealth. On May 25, 1915, 193 Marlborough was purchased from Ellen Sampson by real estate broker William J. Stober, and on May 27, 1915, he conveyed the property to Nathaniel H. Stone, a merchant. He and his wife, Laura G. (Holdrege) Stone, lived in Milton. In June of 1915, William Stober, presumably as Nathaniel Stone’s agent, applied for (and subsequently received) permission to expand the house by adding a penthouse with a mansard roof at the rear of the building, to contain five rooms and bath, and adding a bay window on first floor rear. In September of 1915, he filed an amendment to the application, adding a new “servants entrance” at basement level in the front. Plans for the remodeling, designed by the firm of Lois L. Howe and Manning, architects, are included in the City of Boston Blueprints Collection in the Boston Public Library’s Arts Department (reference BIN C-15). Click here to view scans of the plans for the 1915 remodeling. By the 1915-1916 winter season, 193 Marlborough was the home of Howard Elliott and his wife, Janet (January) Elliott. 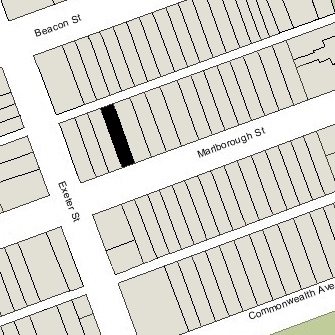 They previously had lived at 77 Marlborough. Howard Elliott was president of the New York, New Haven and Hartford Railroad. They continued to live at 193 Marlborough during the 1916-1917 winter season, but spent the next season in Washington DC. By 1920, they were living in New York City. During the 1918-1919 winter season, 193 Marlborough was the home of wool merchant Ludwig Eiseman (Eisemann) and his wife, Selma (Weil) Eiseman. They previously had lived in Swampscott. By 1920, they had moved to 480 Commonwealth and by 1921 they were living at 350 Beacon. On July 22, 1919, 193 Marlborough was purchased from Nathaniel Stone by Jane Welles (Sargent) Cheever, the wife of Dr. David Cheever, a surgeon. They previously had lived at 20 Hereford. They also maintained a home in Wellesley. Jane Cheever died in March of 1940. 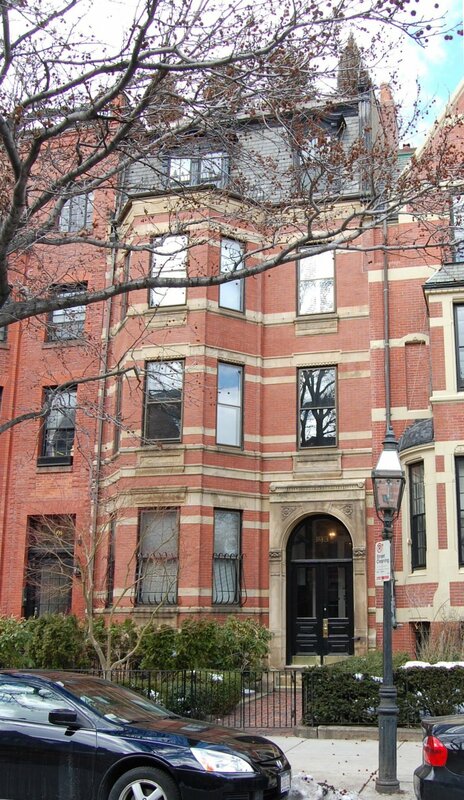 David Cheever continued to live at 193 Marlborough until his death in August of 1955. On September 23, 1955, 193 Marlborough was purchased from Jane Cheever’s estate by attorney Henry Endicott, Jr., and his wife, Katharine (Sears) Endicott. They previously had lived at 131 Marlborough. They also maintained a home in Weston. Henry Endicott died in February of 1956. 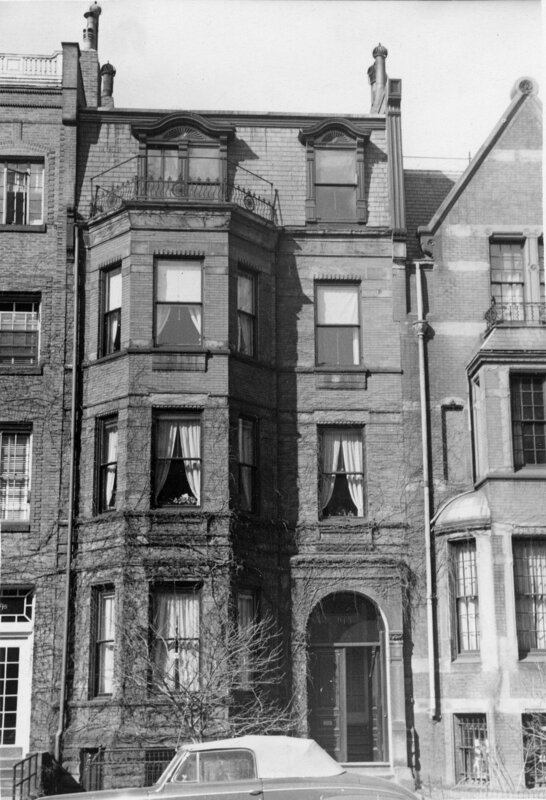 Katharine Endicott continued to live at 193 Marlborough until her death in September of 1963. On December 6, 1963, 193 Marlborough was purchased from Katharine Endicott’s estate by Othar Zaldastani. He and his wife, Elizabeth Reily (Bailey) Zaldastani, made it their home. They previously had lived in an apartment at 20 Gloucester. Othar Zaldastani was a structural engineer who consulted on projects throughout the world; Elizabeth Zaldastani was a teacher. They continued to live at 193 Marlborough in the 1970s. On March 21, 1979, 193 Marlborough was purchased from Othar Zaldastani by James A. Magner, III, trustee of the John Alfred Realty Trust. In April of 1979, he filed for (and subsequently received) permission to convert the property from a single-family dwelling into three apartments, and on November 7, 1979, he converted the property into three condominium units, the 193 Marlborough Condominium.